Every new business brings anxiety. People love to start a business with Facebook, but are doubtful and full of fears, whether to start it or not. Facebook Page Management does not start a business for you. It does not invest in your business. It just helps you in promoting your business. Facebook Page Management is a vast unexplored sea. If executed properly, it can raise your business to a greater extent and can make your wallet thicker and heavier. Fear is not outside you, it is within you. Fears and doubts arise because of lack of knowledge. If you know about something, you’d not be afraid of it. However, Facebook Page management is not something to fear about. It is not a ghost! 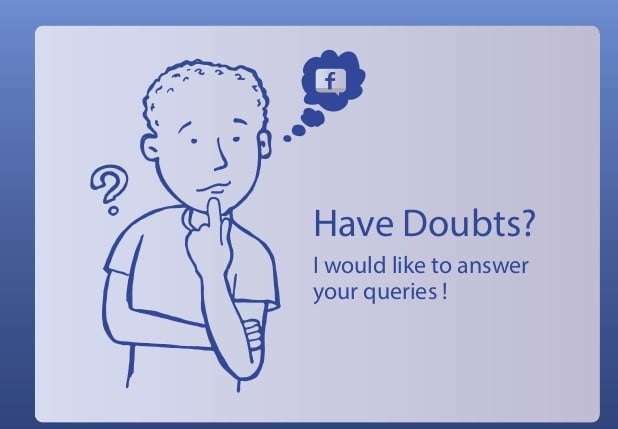 Let’s discuss your doubts one by one, and we’ll try to give a proper solution. 1. Is there a lot of investment in starting a new business? This is not so. You are not starting a new business. You are just promoting the business you own. The investment depends on you. In fact, there is not a single penny you have to spend if you don’t want advertisements on your page. 2. Since this is a social collaboration, what if people monitor me? So what? Do you want to become invisible? Certainly, not! It is always good to hear footstep sounds in your office as much as possible. Just manage your Facebook Page, and you’d come up with great benefits. 3. Is it okay with compliance? It is valid to understand and follow privacy and compliance issues as they are a part of Facebook Management, but don’t let them convert into your fear. You can listen and monitor conversations that take place whenever you like as you do with your emails. The control key is to manage your Facebook Page. See also: Which Social Media Platform Is Best For You? 4. Is Facebook Management capable in solving my business problem? Of course not! If Facebook does not know about your problem exactly. However, there are so many sites, which can help you with this. Moreover, you are the best resource to know where the problem really exists. Do an extensive research to find out. 5. Can we measure success? In fact, yes. There are so many tools available for measuring your success, but the best analyzer is you. You are the best person to judge whether your blogs or comments are working positively or not and whether your marketing policy is going in the right direction or not. The success will ultimately be measured by your sales, revenue, and profits. 6. Facebook has more than 1.4 billion users, how can someone notice me? So, you want yourself to be seen in a market where only 2 or 3 competitors exist. The competitors are less because the business is low there. Facebook ads built a $3 billion business with advertisements by convincing the users to buy new forms of advertisement policy designed to create more effective buzz around their brands. More competition merely indicates that there is a lot more money to collect for. It is natural to have fears, uncertainties, and doubts about any new technology trend. Technology has come to improve our business. It did not provide any medicine to overcome your fear and doubts. It has to come within you. No gain without pain. No money, without risk. You have to come outside the box, and then you’ll come to know, there’s nothing to fear about. Develop a sound knowledge to manage your Facebook page through Facebook Management policies and see the results.